Real Glass Switchplates in High-Gloss Mirrored Glass. Available in 32 configurations. 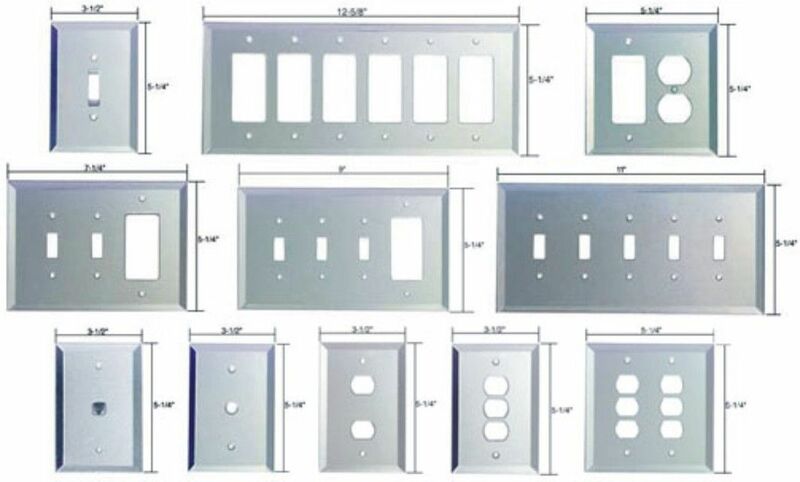 All our glass switch plates are referred to as a mid-sized part. They are a bit larger than the standard size, but not over-sized. 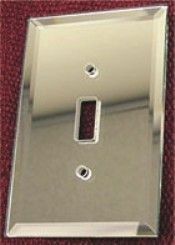 All Mirrored Glass switchplates include screws. For switchplate sizing, please click here. Step 1: NEW FEATURE! Choose all the quantities of the configurations in one step, then click the Add to Cart button, it's as easy as 1-2-3! You might need a gasket with your glass switch plates. If the plug or switch in the wall is sticking out too far, the glass switch plate may not fit snug against the wall. 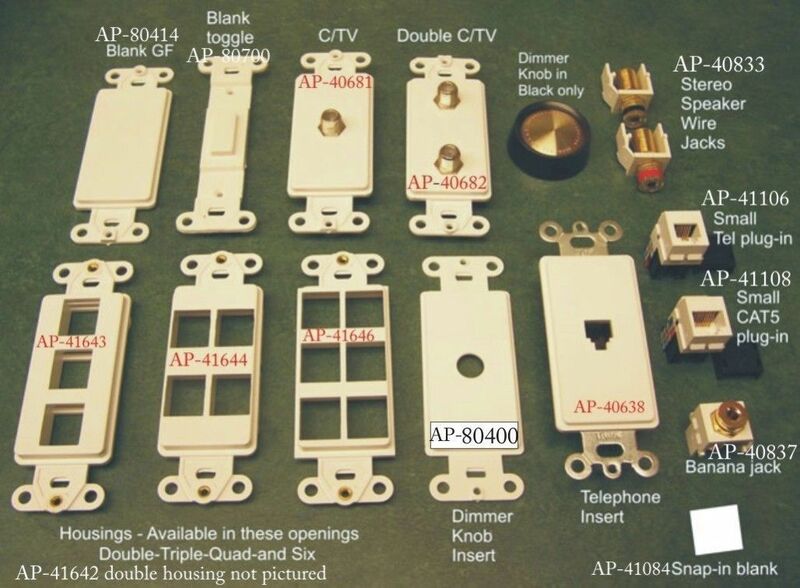 Since all glass switch plates are flat on the backsides, our gaskets peel and stick to the outer edges of the back sides, and let the plug or switch extend into the plate and let the glass plate fit snug against the wall for the best desired appearance. The gaskets at about 1/8th inch clear acrylic, and almost disappear when installed correctly and allow the glass switch plate to fit tight against the wall. In some cases, you may need two gaskets. They are available in 4 sizes for the 1-2-3-4 gang switch plates. Please review the installation instuctions by scrolling down this page for more information. Real Glass Switchplates in High-Gloss Mirrored Glass. Available in 32 configurations. the standard size, but not over-sized. All Mirrored Glass switchplates include screws. 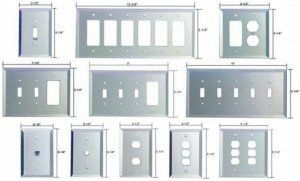 For switchplate sizing, please click here. click here: "Mirrored Switchplates Installation"
So you need to replace the mirrored glass switchplates on the glass mirror in your bathroom or mirrored wall in your home? Well, it should be an easy accomplishment, but it’s a bit more difficult than you would imagine to “do it right”. 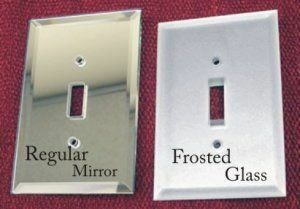 There are a few things to think about, and the first is that glass mirrored switch plates are flat on the back side, and not like standard wall plates, which are not. If you think you just need to get out the screwdriver, and away you go, don’t hold your breath, as it’s not that easy. There are two ways to attach this to your receptacles and you will see diagrams of both ways to do this, so choose which one is the best for your situation. In the first figure we are going to use a duplex receptacle. 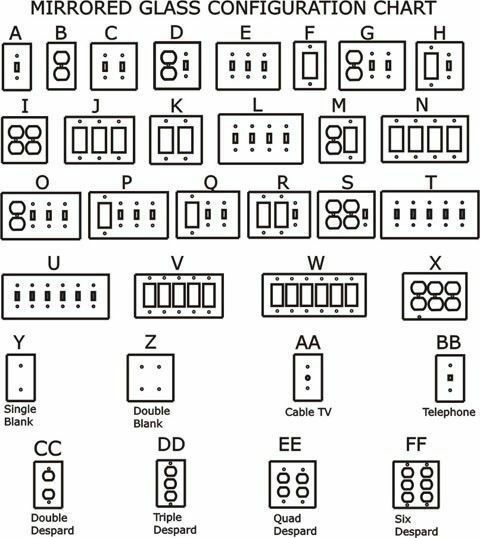 Some have two screws and some only have one screw, but all the switches and receptacles work with the same method. 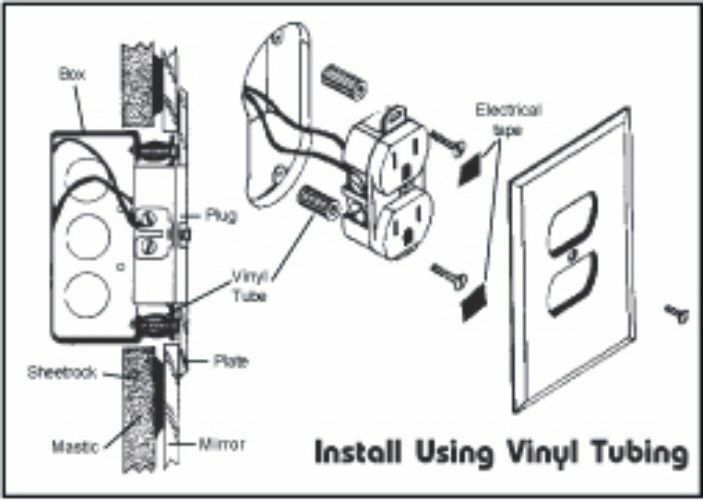 Please follow these directions and your glass switchplates installation will be a breeze. 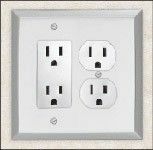 Let’s start by turning off the electric to that switch or outlet, and removing the existing plate from the wall, and unscrew the electrical receptacle with the mounting screws. 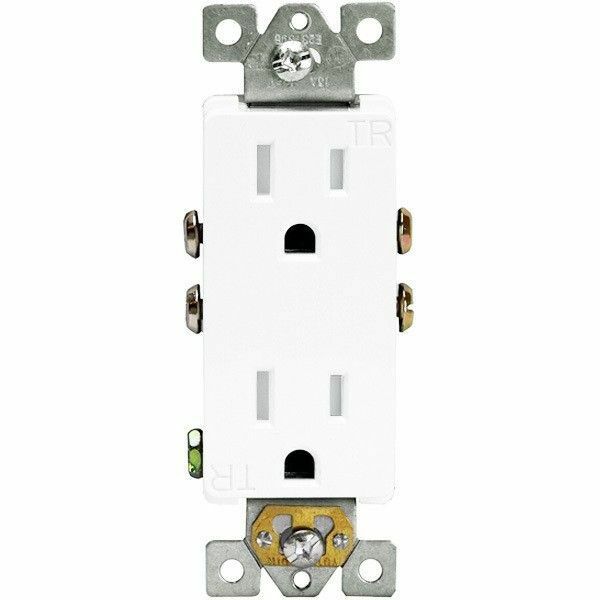 Then carefully pull the receptacle out of the box to give yourself some room to make the following adjustments below in section 2 to section 7, but make sure the power is off to that receptacle before you start pulling it out of the box. Check to make sure that the facing surface of the conduit box fixture in the wall is flush with the wall, and secure that glass plate to the fixture. If the box in the wall is recessed, you must install the screw spacer (Steps 4-7). Otherwise by tightening the screws, you will pull the glass plate into the box in the wall, and this will cause it to crack or break. Measure the recessed distance from the front wall surface to the conduit box flange. Cut the plastic screw spacer at the measured length and install on the top and bottom mounting screws behind the flanges of the electrical fixture. (See the illustration above). Now with the spacers attached, then place the electrical fixture back in the conduit box in the wall and affix it to the conduit box. You might want to put a piece of electrical tape over the heads of the conduit box mounting screws, as they could be resting on the back side of the glass switch plate, and might take the reflective paint off the back if they are touching too hard. 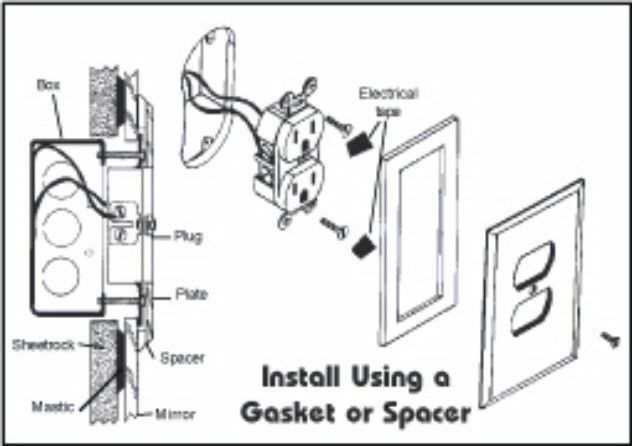 Hold the glass plate up to the electrical fixture and check to make sure the fixture is fitting flush against to back of the glass switchplate. If it is not, the glass switchplate may bend in and break when you tighten it to the electrical fixture. Remember that the glass switchplate is flat on the back side unlike a normal switch plate which has a concaved back, and the receptacle may no come all the way out to the front of the glass switchplate, and this is normal, as the glass in beveled for easy access to the plug or switch. 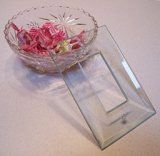 If the glass switch plate does not bump up against the wall because your box in the wall me be out too far, you may need an inexpensive acrylic spacer plate that takes up the distance between the wall and the back of the glass switch plate. This may all sound complicated, but it’s really not, so take you time and your glass switchplates will look great for years to come. You may also want to choose any of the mirrored accessories for your project for that special touch. 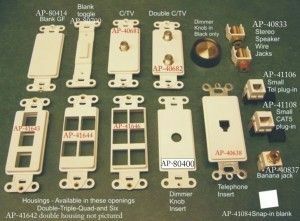 How to install glass switchplates correctly, and you will be a happy customer. HAVE YOU DOUBLE CHECKED YOUR ORDER?